Get ready for the top five plays from this Tuesday's NBA Preseason action. 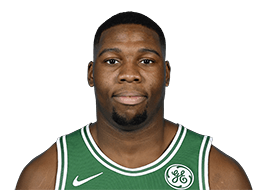 The Celtics beat the Heat 74-72 and advance to the quarterfinals as Guerschon Yabusele racks up a double-double with 12 points and 10 rebounds. Guerschon Yabusele speaks after a narrow win by the Boston Celtics over the Miami Heat. Guerschon Yabusele powers through contact to hit the shot.